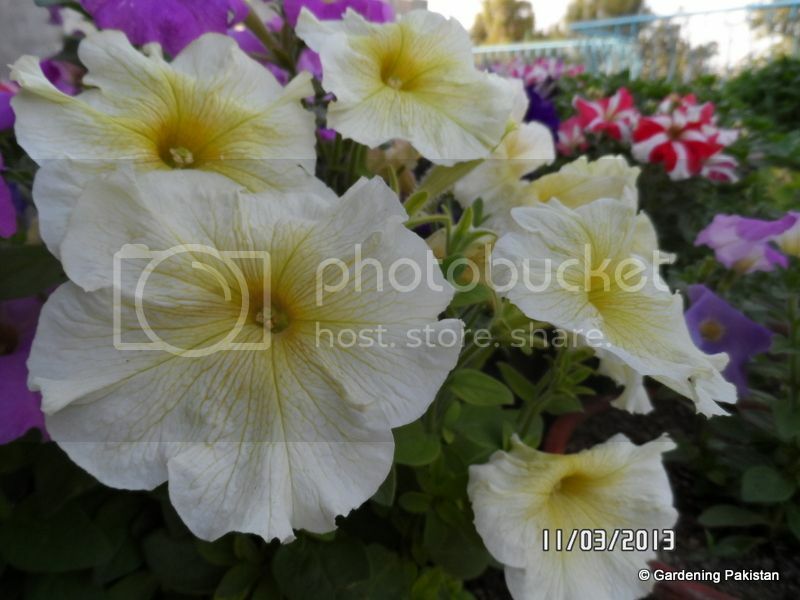 Other Details Petunias are one of the most popular flowering plants, and for good reason. 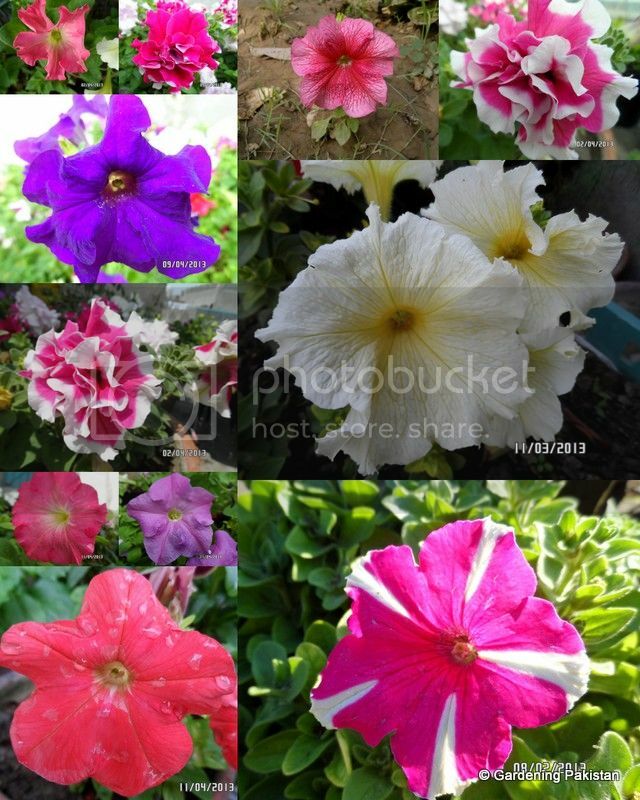 Along with producing large colorful vibrant blossoms, they are relatively low-maintenance. They tolerate almost any kind of soil, can withstand high heat and suffer from few pests and diseases. Additionally, they do great in containers and flower beds alike. 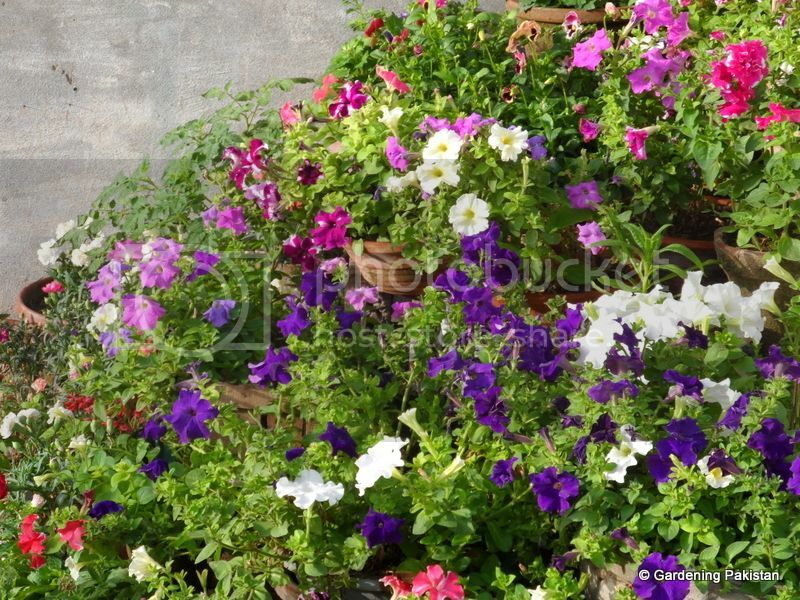 Like any plant, however, they must be cared for properly in order to flourish.One of the most important determining factors for having healthy, vibrant petunias is the amount of sun they receive. 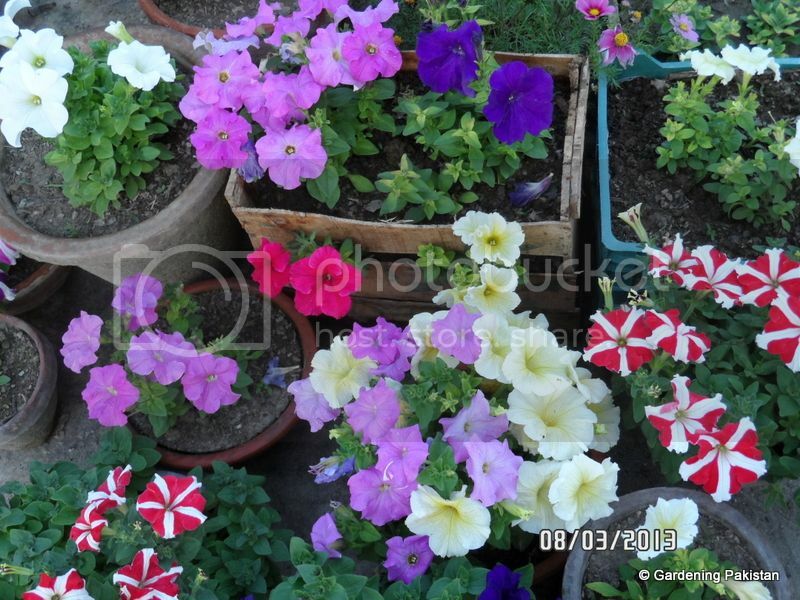 Petunias can survive in an area that only gets about five to six hours of sunlight, but they will produce many more flowers if planted in a location that receives full sun. 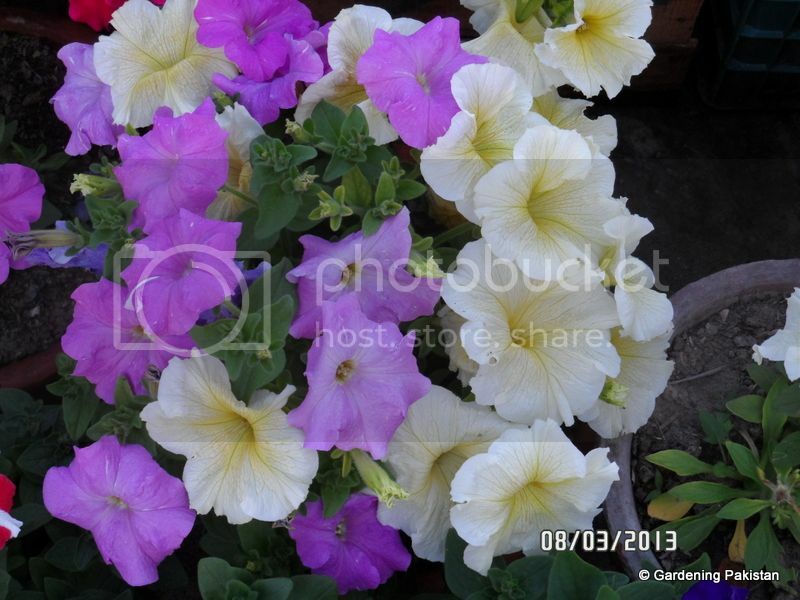 Petunias can withstand soil that is not extremely rich as long as it drains well. The plants are fairly heat-tolerant, but still require watering to a depth of six to eight inches about once a week. The ground cover variety may need to be watered a little more frequently, however, and container plants should be watered as often as needed. If the soil in the location is particularly dry, mulch can be added to reduce water evaporation. 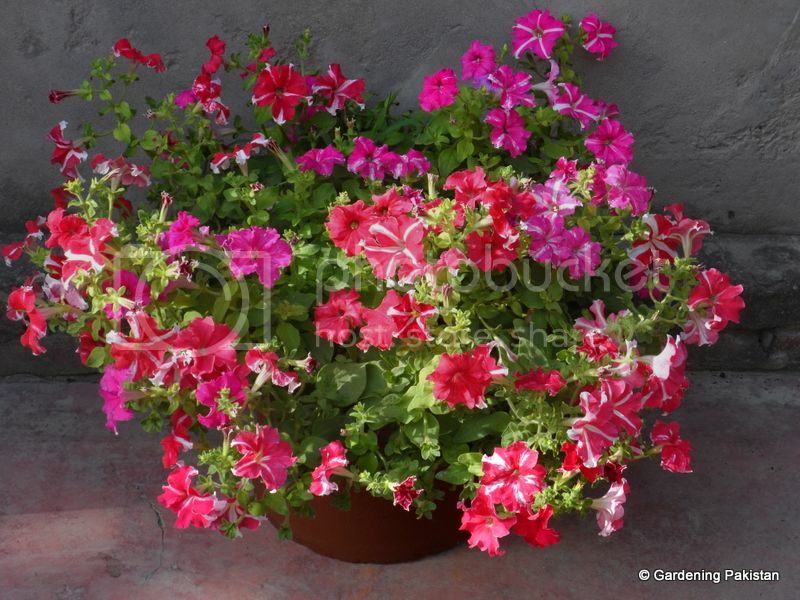 They also flourish in containers.Along with weekly watering, petunias will blossom more often if the flowers are pinched off once they shrivel up. One of my most favorite its Petunia Grandi flora.Such an out standing annual.very very long bloomer plus colors & shapes range is the widest.I usually plant it in Feb when Marigold is ended.My favorites are Falcon,Ultra,Hulla hoop & Madness series. Will look for these specifically next time. What do you use, saved seeds,new seeds or bought seedlings & from which source? 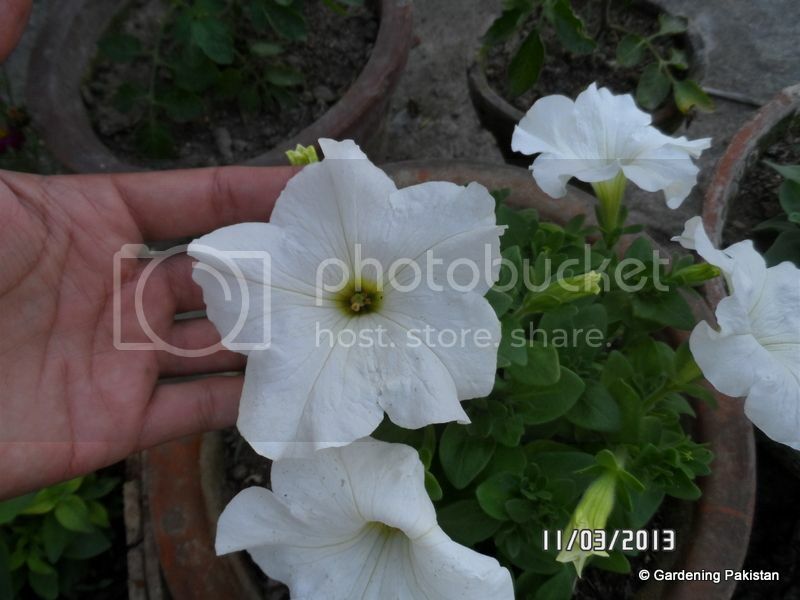 i grow them from seeds.but they are easily available in shape of seedlings from local nurseries.one interesting thing about white petunia grandiflora that it comes true to type from seeds collected..and white petunia grandiflora is hardiest among petunias one plant is still flowering vigorously with me. 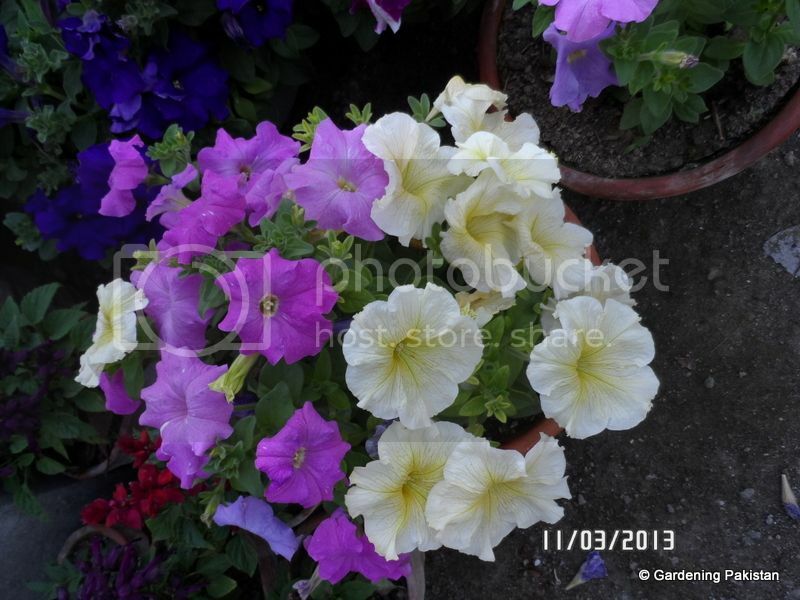 Munir its good to purchase fresh seeds or ready to plant seedlings from fresh seeds of F-1 Hybrids.Picotee some times come true to the type from saved seeds.But i prefer new seeds.If you have space Petunia gives powerful impact if planted in separate colors in mass plantings.